Quite simply, one of the finest beer can books ever produced ! 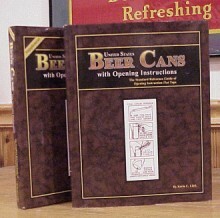 The USBC-OI master copy and USBC-OI SUP supplemental books are the first (and only) reference guides dedicated to the opening instruction (OI) beer can! Author Kevin C. Lilek researched these beer cans for nearly 40 years, culminating in the documentation of 1100+ OI beer can variations. Each beer can design is beautifully photographed in full detail, featured on its own page, and includes valuable historic and rarity information never before offered. The Master copy is 909 pages with 887 OI beer cans. 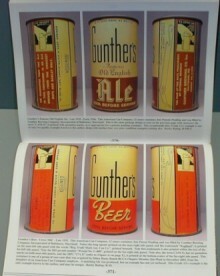 The Supplement was printed a few years later with 290 pages and 250 additional OI beer cans. The books are gorgeously hard bound and printed on quality stock to last a lifetime. Each and every copy comes in its own box & is also shrink-wrapped in the box.